Recently my neighbour invited me to a party for his girlfriend’s birthday. He introduced me to a male friend who works on the Paris staff of an Australian based organisation. The friend had just returned from a visit to head office in Sydney and told me that my neighbourhood – Newtown – was the part of Sydney he most appreciated. He was even able to name the restaurant he’d dined at. My neighbour asked him what locality in Paris is most like Newtown. The 11th arrondissement was his reply. So I decided that I had to put the 11th arrondissement on my bucket list of places to visit before I return to Australia next month. 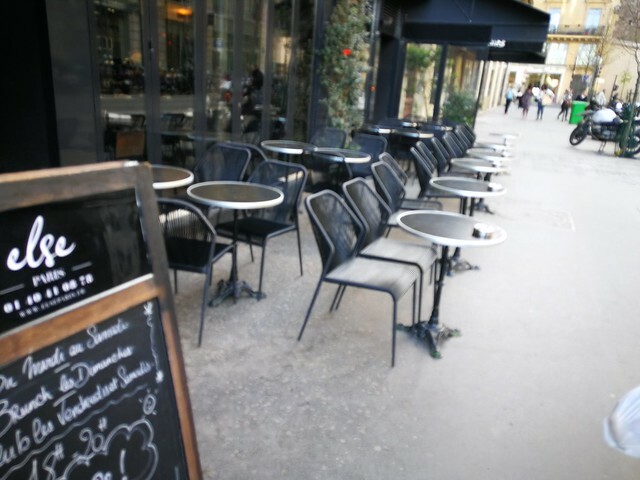 This up and coming district on the right bank is described as one of the most densely populated parts not only of Paris, but of any European city. It is known for its high concentration of fashionable cafés, restaurants and nightlife, as well as a range of boutiques and galleries. To most Australians, its most recognisable establishment would be – sadly – the Bataclan rock music venue, where 90 people were killed in the coordinated terrorist attack in November 2015. I decided that yesterday was the day for my walk to the 11th arrondissement, which is 30 minutes from my room in the First arrondissement, essentially on the other side of the Marais. I set out around midday, and passed the Bataclan theatre on my way to rue de Charonne. My research had suggested that rue de Charonne would remind me of King Street Newtown, and it did. It’s a long street, gentrified at one end with the feel of grunge at the other. There were the expected restaurants and cafés and clothes shops. 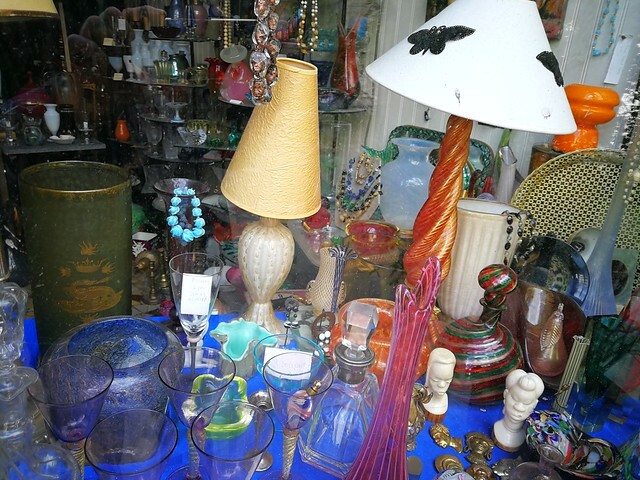 But what struck me most was the number of what we call ‘old wares’ shops. They’re the businesses that sell secondhand items to people wising to give their often nondescript apartment spaces the ambience of a particular past era they like to romanticise. Romance is of course very important to Parisians. What topped off my comparison was rue de Charonne’s location in the vicinity of a remarkable cemetery, Le Cimetière du Père Lachaise. King Street Newtown is a few hundred metres from the historic Camperdown Cemetery, which is listed by the state Heritage Council. 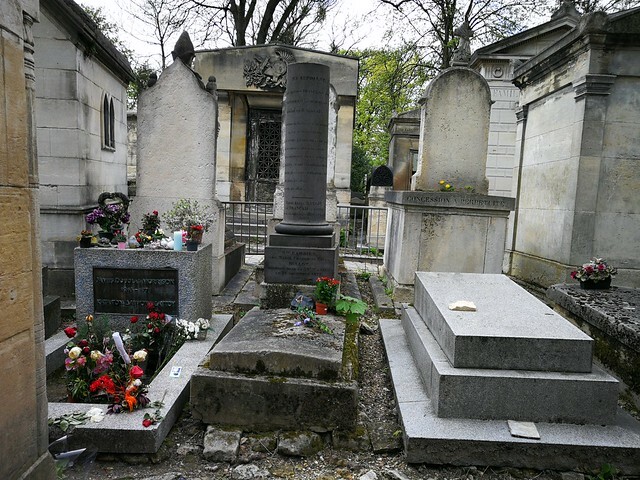 The Père Lachaise, which was named after Louis XIV’s Jesuit confessor, is the largest and most visited cemetery in Paris. It is home to the graves of many famous people. In the short time I had before my return walk, I looked at the tombs of Oscar Wilde and Jim Morrison. On Saturday I returned to Paris after my week in Sicily. I thought I would avoid the frustration of waiting up to 25 minutes for an airport bus by walking to Catania airport, which should be not much more than an hour from the city on foot. However Google Maps failed me and I found myself outside a remote and sleepy corner of the airport far from Departures, even though I had selected the ‘Departures’ option it had given me. Luckily there was some passing traffic and I was able to attract the attention of a kind local, who drove me to Departures in good time for the boarding call. During that moment of panic, I found myself speaking what seemed fluent Italian, to explain my situation to my new best friend and express my gratitude to him for saving me from missing my flight. He appeared to understand exactly what I was saying, as did others I’d had dealings with in Italian during my time in Sicily. When I arrived at the airport at the beginning of the week, the bus ticket vendor I approached for my ticket to Ragusa pointed to another booth that was not attended. Non c’e nessuno! was my spontaneous reaction to him (there’s nobody there). I was proud of the language skill I did not realise I had. Like most Australians with a tenuous grip on a foreign language, I usually construct my thoughts in English before translating them into the other language. It reminded me of my long history with the Italian language. In Year 9 at school, Father Ferruccio Romanin offered lunchtime Italian classes. I think he was the one who planted non c’e nessuno in my unconscious, where it has remained for more than 40 years. He gave me a good grasp of the basics, which I was able to build on later when I did a year’s Italian language at university and then a crash course much later when I went to work for the Jesuit Refugee Service in Rome at the beginning of 1997. However despite all the effort, I never grasped the language in any serious sense. My Italian was regarded - affectionately - as a joke among my work colleagues and my fellow volunteers at the refugee hospitality centre. My tendency to translate Australian and other English idioms literally would both baffle and amuse them. Now, in Paris, I find myself having to suppress the tendency for Italian words and phrases to come up like weeds and strangle my attempts to respond to people in French. Almost daily, the receptionist at the gym will greet me with ‘Ça va?’ (How’s it going?) I will either utter the Italian response ‘Bene grazie’, or spend all my mental energy trying to suppress it and not be able to find the words to respond in French. Recently I have started to comfort myself with the existentialist thought that my grasp of language, and limited ability to acquire new language skills at my age, is what it is. In other words, it’s part of my character and personality as an Australian with good English skills venturing outside my linguistic comfort zone to explore life in foreign cultures. I’m with my sister and brother in law in Catania, the largest city on the east coast of Sicily. They’ve come here from their home in England’s south-east. She enjoys cooking, and her idea of a holiday is to take a serviced apartment near an interesting food market and use the kitchen to prepare a nice meal herself, rather than rely exclusively on restaurants. What caught her attention at the market yesterday were the wedge clams. They’re a species of small shellfish native to the Mediterranean and Atlantic coasts of western Europe. 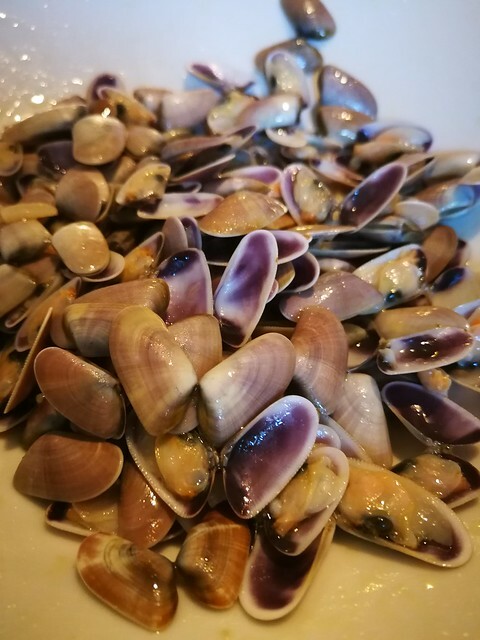 They’re known here as telline, and are similar to pippies in Australia. She cooked them in a pan with garlic and olive oil and we enjoyed the dish as an entree with a glass of Sicilian rose. She was trying to reproduce part of a sensational meal we enjoyed last May at the home of a former Australian work colleague of mine outside Nîmes in the south of France. After returning from the market, my sister had thought she’d bought too many of the wedge clams. She was proved wrong. These past days I’ve had in my mind the phrase ’Sicilian street food’. It’s because of a tiny cafe called Ballaro that opened late last year in King Street, Newtown, not far from my home in Sydney. The cafe describes its offering as ‘authentic Sicilian street food’. This includes snacks such as arancine, the deep-friend rice balls with various succulent fillings that I see everywhere around here. There are also the tubular cannoli pastries. The filling is ricotta cheese, with a generous quantity of sugar. The one I enjoyed in Ragusa had ground pistachio nuts at each end. Perhaps the most vivid food memory I will take away with me is also the simplest. When I first arrived, I was provided with a large bowl of oranges and lemons from the garden of the parents of my airbnb host. As I wasn’t planning to do any cooking, I wasn’t sure what I was going to do with the four or five lemons. I thought I’d squeeze a glass of orange and lemon juice, and accidentally learned that Sicilian lemons - these ones at least - are sweet enough to eat in the way we’re accustomed to consuming oranges. So for breakfast this morning, I bought a lemon and two oranges from a vendor in a small truck parked outside the apartment building. The oranges turned out to be blood oranges, which are currently in season. This afternoon I returned and bought a bag of six of the blood oranges for a euro. Almost immediately, I sat down to eat one read about them online. They’re of the ‘tarocco’ variety that are famed for their sweetness and juiciness. 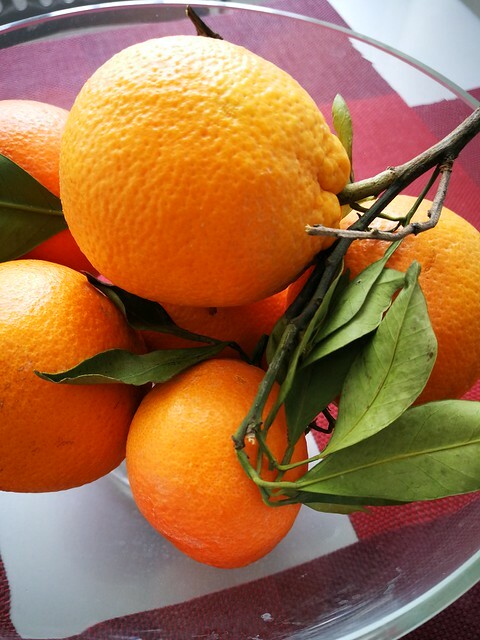 As a bonus, they have the highest vitamin C content of any orange variety grown in the world, mainly on account of the fertile soil surrounding Mt Etna. Yesterday I spent six hours in the south-eastern Sicilian city of Syracuse. It is the important centre of politics and culture in ancient times that Cicero described at ‘the greatest Greek city and the most beautiful of them all’. The vast numbers of school students and tourists and buses put me off the large archaeological site I headed for in the morning. But later I was walking around the waterfront area and came across the papyrus museum, the Museo del Papiro of the Istituto Internazionale del Papiro. I was the only visitor at the time, and I found it unexpectedly engaging. Papyrus is the thick paper-like plant material that was used as a writing surface from ancient times. It was the medium of choice for Vatican documents until the 11th century, and was also used for baskets, ropes, boats and other artefacts, most notably among the ancient Egyptians. 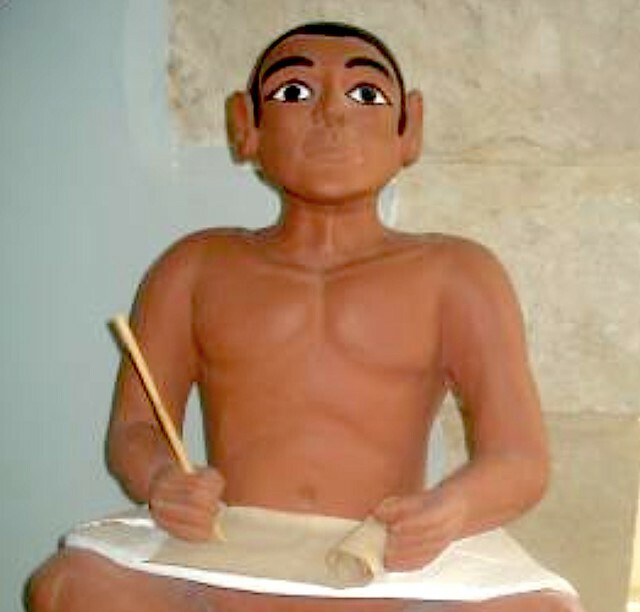 The museum depicts its use in African cultures until recent times. The displays are essentially the story of the work of the local scholar and adventurer Corrado Basile, who has been to Africa many times since the 1960s to study the use of papyrus. They include three papyrus boats that he brought back from different parts of the continent and numerous other artefacts. Its relevance to Sicily is that, aside from Africa, it is the only location in the world where papyrus grows. The most significant presence of papyrus is along the banks of the Ciane River, just a few kilometres from Syracuse. It is also an indication of the physical proximity of Sicily to Africa, where papyrus grows throughout the continent. I’ve long had an interest in the history of publishing and media. What most fascinates me about papyrus is that it was the only medium used for the dissemination and preservation of the work of the philosophers and poets of ancient times. Without papyrus, there is so much that would be lost to us. We can compare its usefulness and influence, and perhaps notoriety, to other media such as the printing press, radio waves and the internet. Late on Saturday I arrived in the inland Sicilian city of Ragusa. 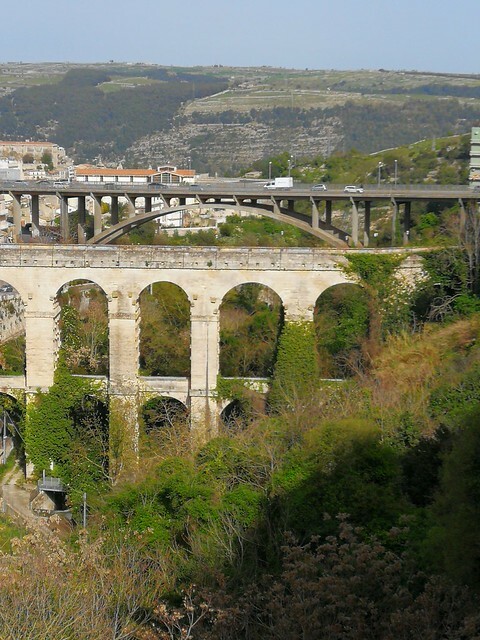 With about 73,000 inhabitants, it is built on a limestone hill between two deep valleys. It is one of eight cities in Sicily’s south-east that is part of a UNESCO World Heritage Site. When UNESCO put the towns on its list in 2002, it described them as ‘representing the culmination and final flowering of Baroque art in Europe’. That is because they were destroyed by a large earthquake in 1693 and subsequently rebuilt in the baroque and renaissance style that was current at the time. A bit like Napier in New Zealand, which was razed by an earthquake in 1931 and rebuilt with Art Deco architecture. 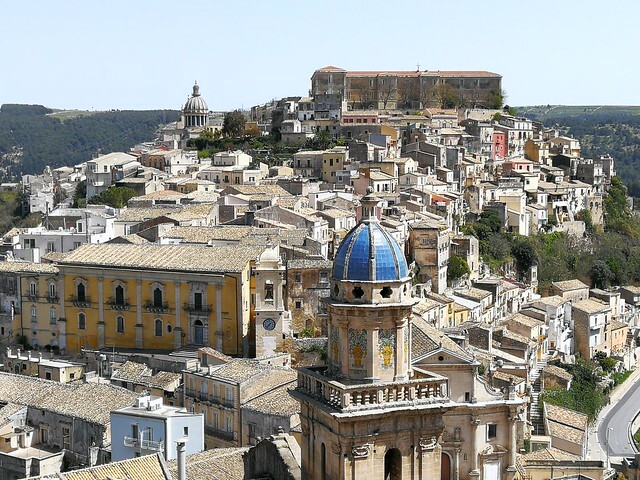 Why did I choose Ragusa over the other cities, which are undoubtedly all beautiful? It’s because I’ve had it in my mind for 20 years that I wanted to visit Ragusa one day. It is the home town of a former colleague, and also a couple that I was friendly with when I lived in Rome in 1997-98. They would talk about Ragusa with love and affection, although it was clear that they preferred to live in the big city. It seems my airbnb host Giuseppe is much the same. Giuseppe lives and works in Milan and his plan is to have his parents help with looking after guests. Nevertheless he was at the local bus station with his parents when they came to pick me up after I’d taken the 90 minute journey from Catania Airport on Saturday evening. I am his first airbnb guest and it seems he is determined to get things right. As expected, I’ve noticed many older people and not so many young people about the streets. There are empty shops, but clearly the residents have a sense of pride in their city, which is well-maintained and gradually being discovered by tourists. My gauge of a tourist location is how easy it is to manage in English. In Paris, I’ll ask for something in broken French and they will answer me in English. Here they are answering me in Italian. Fortunately the patchy Italian I learned many years ago has come out of hibernation after my 19 year absence from the country. After my ten kilometre walk around the older section of the town - mostly up and down steps - I went to the railway station to book my ticket for tomorrow’s journey to Catania, where I will spend four days. The train takes the scenic route, and the travelling time is over four hours. The station was deserted and slightly derelict, as I guess most locals would favour the 90 minute bus trip. In Australia, one of my secrets to avoiding weight gain is no bread. When I’m in Paris, I don’t even try to stay away from baguettes. They are so much a part of life here. There’s always a boulangerie around the corner, and you constantly see baguettes poking out of people’s bags as they walk around the streets. Every day I buy a half (or demi-) baguette in the late afternoon or early evening. I cut it in half and have one piece fresh with my evening meal around 8:30 and the other for breakfast, occasionally with Vegemite. I’m careful to get it by 8:00 pm when the boulangeries close. If I miss that deadline, I will need to go to a supermarket, where the baguettes are a pale imitation of the real thing. The ‘real thing’ is always baked on the premises, and is often still warm when you buy it. In other countries, the word ‘artisanal’ can be slightly pretentious. But here it’s signposted outside a boulangerie as a statement of the fact that they bake on site. I’m lucky to live in an area where there are dozens of boulangeries. In one direction - Rue Saint Honoré - there is one about every 200 metres. I have tried most of them, and discovered that some are better than others. There is one that is part of a chain that makes a big deal of its Meilleure Baguette de Paris 2016 award. I prefer the next one along the street, which you need to Google to discover that it has won awards every few years since 1996. For reasons of economy, I previously bought the basic baguette for around 50 euro cents. But one day they had only the baguette traditionnelle, which costs 10 cents more. It is not as white, has holes, and looks to be less processed are more wholesome than the cheaper one. It is certainly more satisfying, and now I always ask for the traditionnelle. Part of my current ritual is to cut it in half with a proper bread knife, and then to break it as I consume it. I did not get a proper bread knife until last week, as I’d been trying to make do with a single chopping knife in my tiny kitchen space. But there is always room for the important things. Yesterday I went to the Pompidou Centre in the hope that the train strike would have restricted visitor numbers to the National Museum of Modern Art. But the queue snaked well into the large courtyard, and the rain. So instead I visited the museum’s annexe - the Brâncuși Studio - which tends to be overlooked by many tourists including myself. Notwithstanding Rodin, Constantin Brâncuși (1867-1957) is often described as the father of modern sculpture. He grew up in his native Romania and travelled to Paris in 1903. He started work in Rodin’s studio, but left after two months, saying ‘nothing can grow under big trees’. With characteristic single mindedness, he set up his studio in a room in the 15th arrondissement. 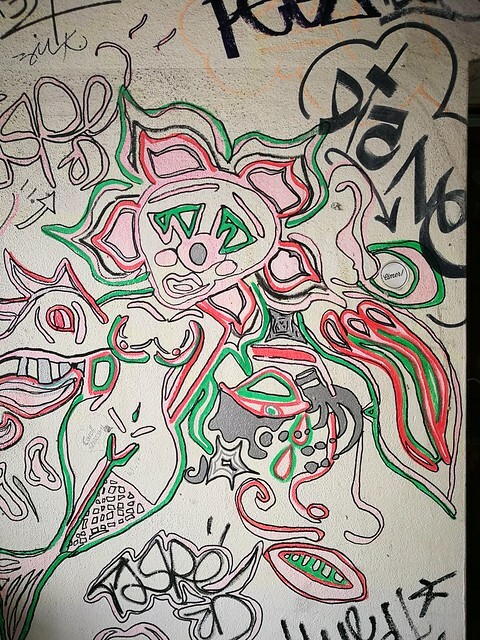 Over the decades he extended it by acquiring the leases to a total of four adjoining rooms or workshops. 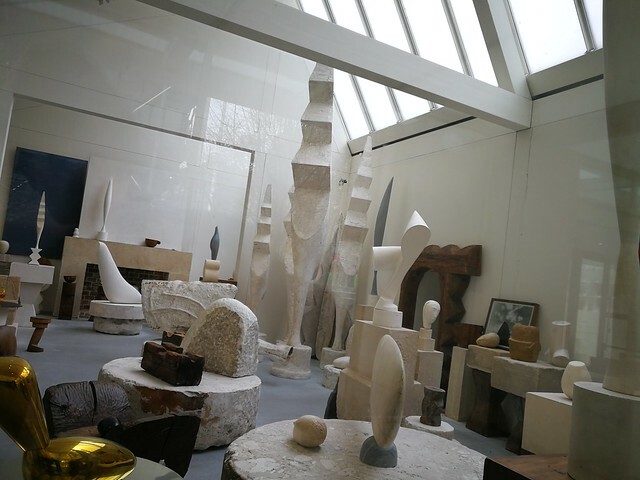 He was insistent that certain sculptures belonged in the environment of his studio, with its particular light and spatial properties. So when he bequeathed the studio and its artworks to the French state, he imposed the condition that it must be reconstituted in its entirety, including ‘works, drafts, workbenches, tools, furniture’. The reconstitution was completed in 1997 by the original Pompidou Centre architect Renzo Piano. I was reminded of the 2014 recreation of the ordered chaos of Australian painter Margaret Olley’s Paddington, Sydney, home inside the Tweed Regional Gallery in northern NSW. The Gallery’s director said at the time: ‘It was the layering that fascinated me, clearly everything had a place’. The English translation of one of the explanatory panels in the Brâncuși Studio reads: ‘In the rather untidy place... the sculptor was taken unawares by the contiguity, juxtaposition and combination of forms’. 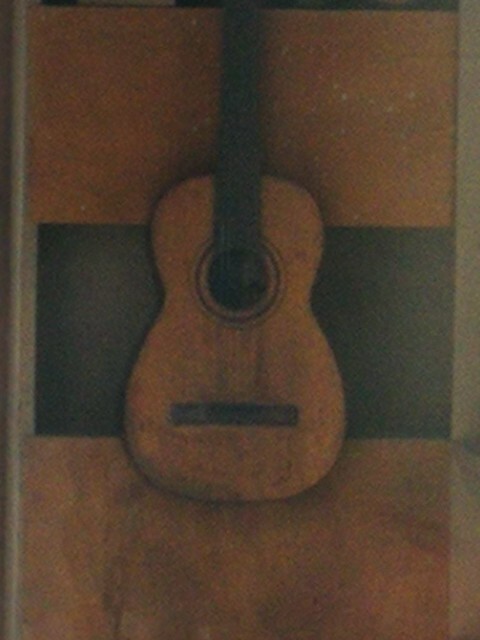 The sculptures blend with the context of the work benches and tools, as well as Brâncuși’s mezzanine bed space, his cooking utensils, and even the guitar that was used to create musical entertainment with his bohemian friends including composer Erik Satie. I sometimes think of the particular spatial properties of the rooms in which we live our own thoughtful and creative moments, including my own tiny five square metre room a few hundred metres from the Pompidou Centre. The ‘jerry-built’ fittings tell one story. There’s another in the particular natural light afforded by its situation on the top floor of the building. That gives it a gloss that is perhaps compatible with a creative existence. Together they give me an insight into the philosophy of existentialism. It’s springtime in Paris and I’ve been here a little over two weeks. But although a sunny 21 degrees is expected on Saturday, being here at this time is not entirely enviable. I’d missed the floods and heavy rains that had made life miserable for Parisians earlier this year. But when I first arrived, there was snow cover at the airport and it was even snowing in my street in the first arrondissement. Temperatures were sub-zero, and they took some days to approach a level of relative comfort. However the real gloom in the air was created by the strikes in the public sector. The unions released a calendar of train strikes that will take place three days a week between now and the end of June. Air France had two strike days last week and there will be another two next week. In addition, the public electricity utility EDF is also expected to be subject to strike action. On my flight to Paris, I was sitting next to the mayor of a small town in the Loire Valley. He explained that it was about resistance to President Macron’s agenda to curb the cushy conditions that are an obstacle to France’s economic competitiveness in the modern world. In my experience, strike action is often a mix of idealism and worker self-interest, with self-interest often dressed up as idealism. When I worked at the ABC in the 90s, it was creeping commercialism eroding the values of public sector broadcasting. That was real. But it seemed those values were inseparable from upholding a longstanding and arguably unrealistic high standard of working conditions that I never enjoyed in my post-ABC employment. According to survey results reported on the nightly television news on France 2, about half the general population is broadly supportive of the strike action. I suspect there’s an element of nostalgia for the past and skepticism about globalism and its purported benefits for the those who don’t belong to the economic elite. Not too dissimilar to the sentiment in the UK that led to the Brexit vote. The nightly news tends to focus on the gloom of those waiting on train platforms for the approximately 20 per cent of trains that are still running using what we might call ‘scab labour’. But I think there are also those who are able to dodge the worst effects by working from home or travelling outside the peak. My Air France flight to Sicily next week was booked for what became a planned strike day. Luckily I was able to bring my departure ahead three days. My Sicilian holiday is extended and I will avoid both the Air France strike and the two successive days of train strikes that could have prevented me from travelling to the airport. Yesterday a friend observed that the transport paralysis seemed to have reduced the number of tourists in circulation, suggesting that today - another strike day - might be a good day to visit one of the usually crowded museums. That is my plan for the afternoon. Today I had lunch with an old friend and work colleague I first met 30 years ago. She recalled two other female colleagues taking me on as a 'project' to try to give me a sense of style. I was very much lacking in that aspect, partly because I was still a Jesuit. We proudly regarded ourselves as counter-cultural. Most of us were from comfortable middle class backgrounds. But we sought to 'identify with the poor'. I remember my mother buying me an expensive suit that I was too embarrassed to wear. We dressed down, grew beards when they were out of fashion, and gave each other rough haircuts. Overweight was OK, and working out in the gym to build a beautiful body would be to worship an alien god. Our style was to eschew style. But in effect we were making a virtue of sloppiness. Eventually I worked it out that sloppy does little to enhance the dignity of the poor. Whoever the poor were, I hope they did not pay too much attention to the well-intentioned standard we set. Thirty years down the track, my colleagues' wish for me has been fulfilled. I try to be mindful of my dress and grooming. I also pay attention to how others present themselves. I sometimes find articles of interest in GQ men's fashion magazine, although my current favourite is the Men in This Town blog that pays homage to men who express their personality in the clothes they wear. A visit to the gym each morning has taken the place of daily Mass. It can centre me as a human being or it can be boring. But my better body shape, and attention to dress and grooming, contribute to a greater sense of well-being.